You’re invited on a trip back to nineteenth century Chicago. We’ll drop in on the Near West Side around Halsted and Maxwell Streets. 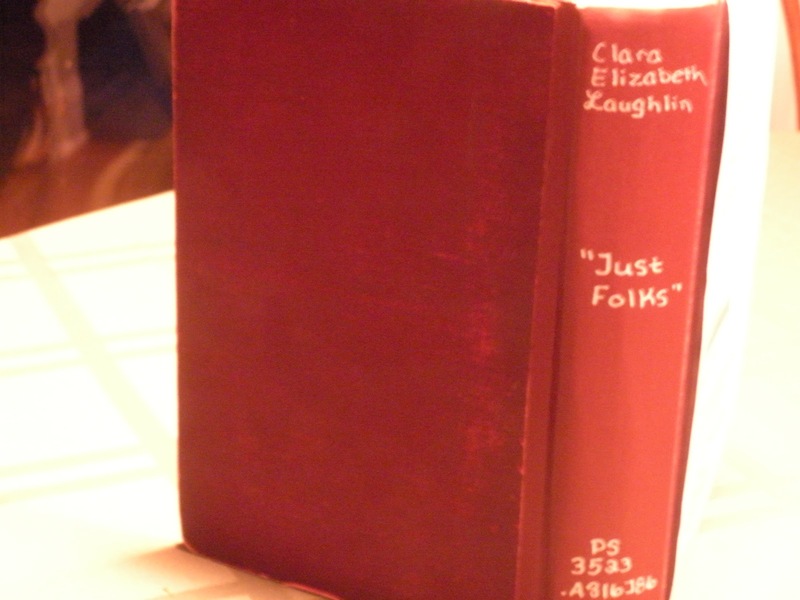 Your ticket for this adventure is an almost forgotten nineteenth century novel, Just Folks by Clara Elizabeth Laughlin, first published in 1907. I was introduced to Just Folks when I was preparing for my research trip to Chicago in September of 2012. I was googling sources about life in the 1870s in the Near West Side, the neighborhood where my Carney/Kearney family lived. 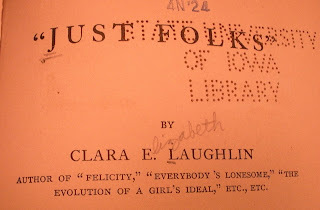 I happened upon the website for the Northern Illinois University Libraries’ Illinois Periodicals Online(IPO) project. The goal of IPO is to digitize Illinois-based magazines so that the public will have easy access. When I googled for “life in 19th century Chicago,” one of the hits was an article by Robert Bray, “The Chicago Novel, 1890-1915.” Mr. Bray mentioned two novels that I was quite familiar with from high school and college: Sister Carrie by Theodore Dreiser and The Jungle by Upton Sinclair. But Mr. Bray also discussed several novels about life in late 1800s Chicago written by women, one of which was Just Folks. Although the book is hard to find, the complete text of Just Folks is available on-line. This building at 771 West Ewing Street has the distinction of being the first juvenile court building in the world. Later in this posting, we'll see why this court devoted to juveniles was placed on the Near West Side. 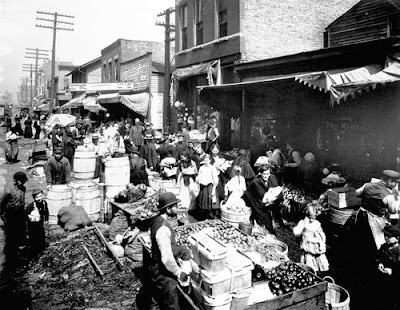 In the latter part of the nineteenth century, the Near West Side was one of the most crowded, poverty-filled areas in Chicago. The Chicago Fire of 1871 was a large contributing factor to the gross overcrowding as people who lost their homes to the flames fled to the Near West Side. Also, before and after the fire, a continuing stream of new immigrants came to this part of town because of the proximity to factory jobs and the availability of low rent housing. The housing stock in the Near West Side may have been cheap and plentiful, but there was a downside – people were packed into flimsy tenement buildings that were dark, had no running water, had few privies for the number of tenants, and were prone to fires. 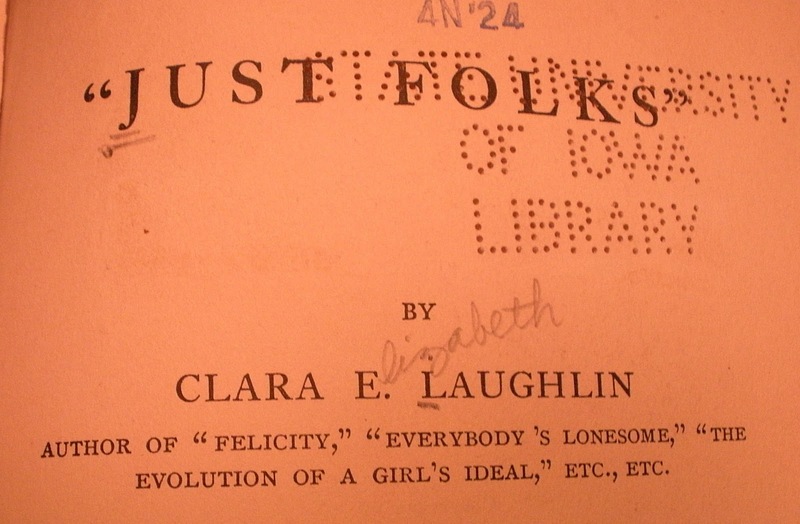 Laughlin not only gives us a geographic grounding in the Near West Side, she also gives us a glimpse of the basic institutions in the people’s lives. Just Folks began with the Juvenile Courthouse which played a big part in the day-to-day life of the people because poverty can spawn hopelessness, and without hope the young can turn to crime as a way out. 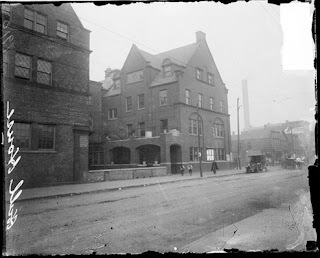 One institution that worked to bring hope to its neighbors on the Near West Side was Hull House. Jane Adams established Hull House in 1889 because she wanted to provide help to the very poor in this area. 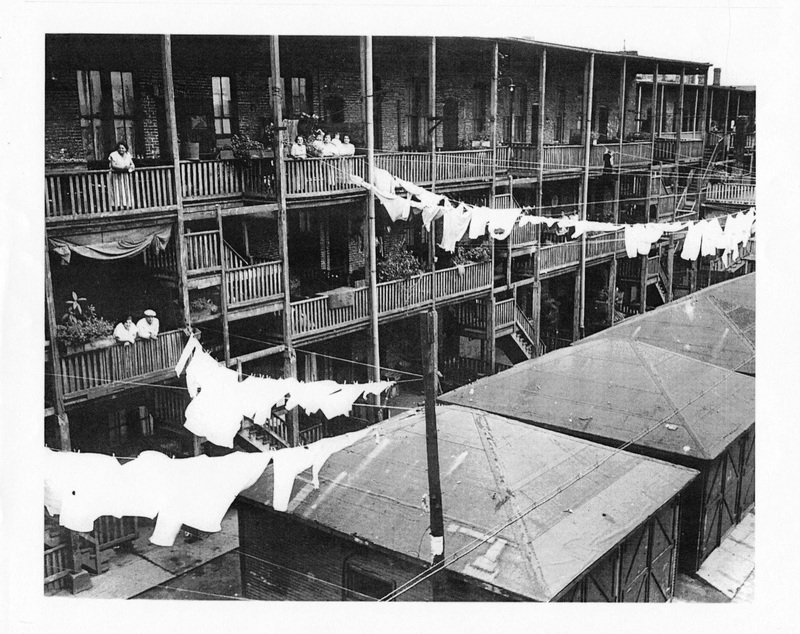 In Laughlin’s book, Beth Tully thought that she could learn how to help the people by living amidst them rather than on the grounds of Hull House. Through the sentiments of Tully (p.4), Laughlin presents the mission of Hull House from the viewpoint of the people it served: rather than asking what the people wanted, those in charge of the House gave what they thought was needed. And sometimes these were the same and other times they were not. 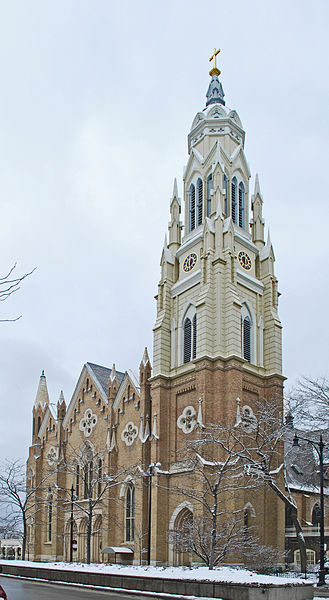 Holy Family Church (1857) and St. Ignatius College Prep High School, (not pictured), 1869, Chicago IL, wikimedia, Creative Commons Attribution-Share Alike 3.0 Unported license. Postcard photo of the entrance of Riverview Park, Chicago circa 1908. Postcard photo of the Chutes ride at Riverview Park, Chicago, wikimedia. 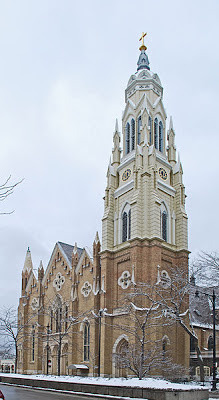 We have come to the end of our visit to the Near West Side of Chicago in the 19th century. A branch of my family started their life in Chicago right there, but fortunately the next generation was able to move out from the deep poverty. It was only a move of a few miles north to Chestnut and Wells for them, but it was a huge step in improving their quality of life. Hi Paula, Wow, this is tantalizing! I would love to locate this book also. I was thinking of contacting the Newberry Library, the University of Chicago history dept, and Hull House, for starters.